Sometimes finding a place to have a romantic date can be tough work. But fret not, here are some romantic dining places to bring your partner to. With the HSBC Visa Infinite Credit Card, you can even be kind to your wallet while you are at it. 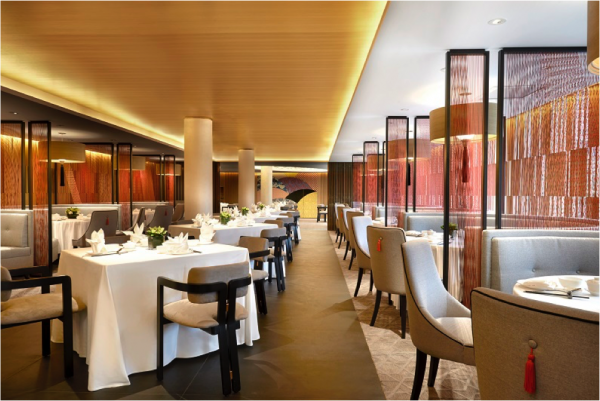 Enjoy your date at the heart of Orchard Road with extensive dining options ranging from Cantonese to International Cuisine at Singapore Marriott Tang Plaza Hotel. Here are the array of discounts you’ll enjoy when you charge your dining bill to your HSBC Visa Infinite Credit Card. These are some of our favourite dining spots. If your taste buds are more palatable towards Chinese cuisine, you may want to choose to go to award-winning Wan Hao Chinese Restaurant. Serving the finest of Cantonese delicacies from Braised Beef Short-rib with Chinese Spices to Braised Lobster with Assorted Seafood, there’s comforting flavours and surprises in every dish. Its extensive wine list will also ensure a visit to Wan Hao Chinese Restaurant will be pleasing to your date. If you’re not too inclined to Chinese food and looking for a variety or more western cuisine, Marriott Cafe is the perfection option as the restaurant offers a variety of international cuisine. There are other options available for a relaxed evening, where you can be truly comfortable with your loved one. If you and your date prefer to unwind and relax, then the Pool Grill would be ideal. With its poolside alfresco dining options, enjoy your seared lamb loin under a starry sky. Enjoy the convenience of its central location, yet wine and dine away from the hustle and bustle of city life. Prefer a more cozy dating venue, or planning to catch a show afterwards? Crossroads Café will make sure you aren’t compromising on your meal options, and keep you on track for the next part of your date plans, with its street level location. Nestled in the midst of a lush Mediterranean garden, Pollen offers a dining experience like no other. 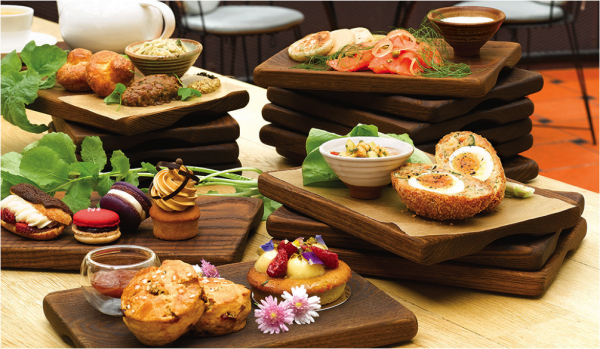 Offering French-Mediterranean cuisine, elevate your date to the next level at Pollen Terrace. Start your romantic date at the Flower Dome, where you and your date would enjoy complimentary entry to see the latest flower displays. Worried about the long trek to the restaurant afterward? The complimentary buggy to chauffeur you to the restaurant would be sure to elevate your experience. Bringing a contemporary spin to Japanese dining, Fat Cow handpicks some of the finest Wagyu from reputable farms around the world. It’s an excellent place to splurge on your date with prime Wagyu cuts. Enjoy an attractive offer by getting 1-for-1 main course at Fat Cow as part of the ENTERTAINER with HSBC deal! This offer is available until 30 December 2018. Concealed in a secret corner of town, relish in a full whiskey bar and the finest steak cuts at Bedrock Bar & Grill. If you are looking for some amazing whiskey and a place to just have an enjoyable time, this is the place to go to for your date. Enjoy a 1-for-1 main course deal at Bedrock Bar & Grill using Entertainer with HSBC! This offer is available until 30 December 2018. Craving for Cantonese cuisine? Yan is the place for you. Located in the heart of town, Yan provides you with a dining experience like never before. Infusing elements of creative space and art, it provides the perfect ambience for a classy date. With the HSBC Singapore app, get to enjoy 1-for-1 Main course at Yan! This offer is valid until 31 December 2018. Find out more on the benefits that you can stand to gain with the HSBC Visa Infinite Credit Card here. Enjoy a life of luxury and comfort with HSBC as we give you the finest benefits that you deserve. In addition, get exclusive access to deals. With specially curated 1-for-1 deals for dining, travel and entertainment across the island, never worry again about where to go for a date that won’t bust the bank. You’ll be able to use ENTERTAINER with HSBC at 525 merchants across Singapore, Malaysia, Hong Kong and more, during any day of the week. Enjoy all of this for just an S$5 enrolment fee. However, there is good news for you if you are a HSBC Visa Infinite Main Credit Cardholder, because this exclusive programme is complimentary for you. For more details on how to access and unlock these deals, click here. With the plethora of benefits provided to you by ENTERTAINER with HSBC and HSBC Visa Infinite Credit Card, the hassle over planning romantic dates will soon be a thing of the past. Let HSBC bring you convenience, luxury and affordability, elevating your date to the next level! Apply for the HSBC Visa Infinite Credit Card today and receive a complimentary welcome gift of 35,000 air miles that is redeemable at over 40 airlines. This article is brought to you by HSBC Visa Infinite Credit Card.